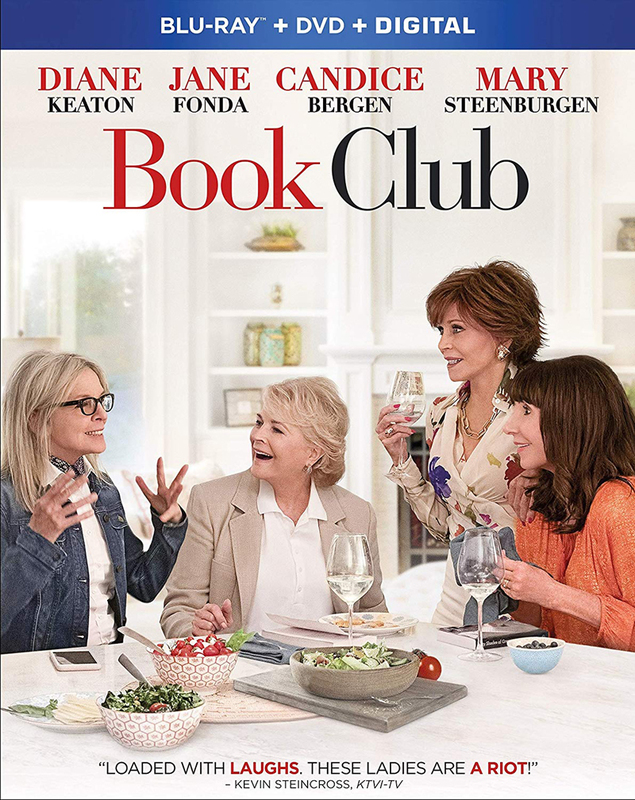 Book Club – Four successful women — Diane (Diane Keaton), Vivian (Jane Fonda), Sharon (Candice Bergen) and Carol (Mary Steenburgen) — each have something in their lives that they need to set right. When Vivian suggests they get up close and personal with a certain Christian Grey by reading the novel Fifty Shades of Grey for their book club, the women have different reactions. Click here to buy the Blu-ray. Adrift – Tami (Shailene Woodley) and her boyfriend Richard (Sam Claflin) are stranded in the middle of the Pacific Ocean after their boat is caught in a disastrous hurricane. Although she has few sailing skills, Tami is forced to take control of the wrecked boat and brave the unpredictable waters to save them both. Click here to buy the Blu-ray. Tag – For the entire month of May every year for the past 30 years, five men have organized a no-holds-barred game of tag. This year, the game coincides with the wedding of their only undefeated player, Jerry (Jeremy Renner). He doesn’t invite his friends to the wedding because he knows they’re determined to tag him. No matter how hard they try, Jerry always seems to be one step ahead. Click here to buy the Blu-ray. Mary Shelley – Teenager Mary Wollstonecraft Godwin (Elle Fanning) meets married poet Percy Bysshe Shelley (Douglas Booth) and falls in love. They have an affair, which leads to Mary writing her novel Frankenstein, which goes on to become a classic. Click here to buy the Blu-ray. RBG – The unique personal journey of U.S. Supreme Court Justice Ruth Bader Ginsburg has been largely unknown — until now. This documentary takes a look at this diminutive, quiet warrior who has developed a breathtaking legal legacy while becoming an unexpected pop culture icon. Click here to buy the Blu-ray. Upgrade – In a utopian future when computers control nearly everything, Grey Trace (Logan Marshall-Green), is the victim of a car hijacking in which he’s left a quadriplegic and his wife is killed. A billionaire technologist offers him an experimental paralysis cure — an implanted computer chip called STEM. Grey accepts, because he wants to find the criminals responsible for his wife’s death, but soon finds the chip has a voice and a mind of its own. Click here to buy the Blu-ray. Woman Walks Ahead – In the 1890s, Catherine Weldon (Jessica Chastain), a portrait painter from Brooklyn, travels with her young son to the Standing Rock Reservation in Dakota Territory to paint a portrait of Chief Sitting Bull. While there, she becomes embroiled in the Lakota peoples’ struggle to retain the rights to their land. Click here to buy the Blu-ray. American Animals – The unbelievable but true story of four young men who convince themselves that they can pull off a heist by robbing the library of Transylvania University in Lexington, Kentucky. They plan to steal several valuable books, including original Audubon portfolios, that have a combined estimated value of $12 million. Click here to buy the Blu-ray.